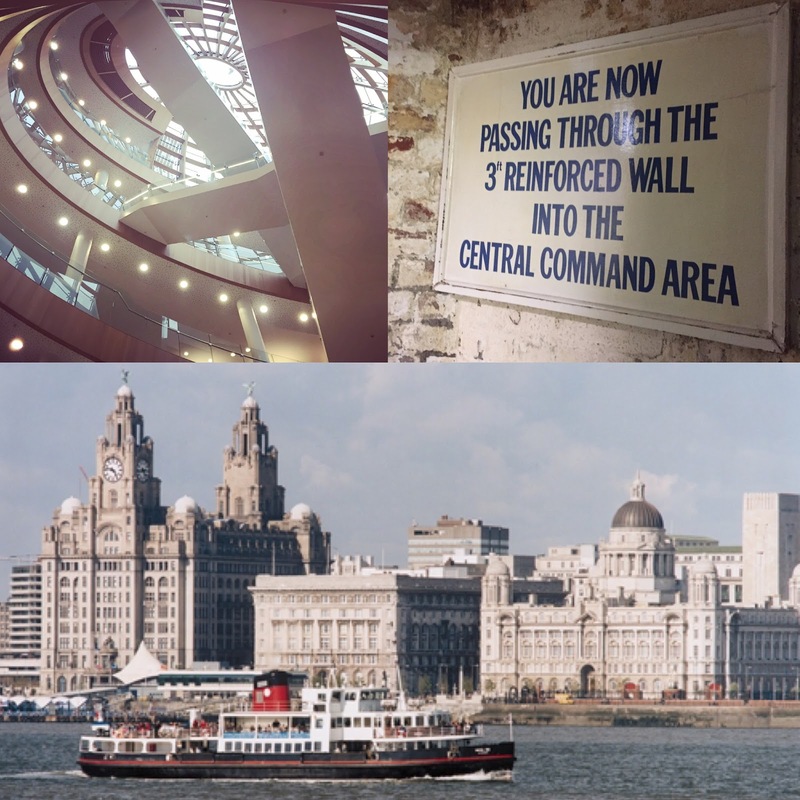 My Dad and I recreated our own version of the BBC’s ‘Who Do You Think You Are’ with a little history trip around Liverpool – exploring the heritage of our own family and the city. Liverpool is a wonderful city with so much to see and do for visitors from all over the world, but nothing beats taking the time to appreciate your own roots. Our first stop was the Western Approaches museum on the edge of Exchange Flags. With my grandparents and uncles in the Royal and Merchant Navies, the Army and the RAF – as well as those ‘on the home front’ – my Liverpool family knew all too well the cost of war. It’s a wonderful peek into an underground world of wartime operations and all credit to the dedicated people who got the Western Approaches museum off the ground in the 90s, as it’s a really important part of Liverpool’s military history. Unlike the Imperial War Museum North in Salford, the many museums in London, or the National Memorial Arboretum in Staffordshire, Liverpool doesn’t have its own dedicated war museum despite its proximity to the North Atlantic and many scousers to this day coming from historically seafaring families. There’s some beautifully done displays in the Museum of Liverpool but the Western Approaches is unique in being a dedicated wartime museum on an original site. On the downside, the tickets were on the pricey side, and the exhibitions could have been improved. They have iffy opening hours (understandably, as they are often staffed by volunteers so I don’t mean to be unduly critical) and I’m being brutally honest here: if you’ve ever visited the Cabinet War Rooms in London then this isn’t going to knock your socks off. My Mum always says if you identify a problem you should also identify a solution and I’m only sorry that I can’t volunteer my time to somehow make it a better visitor experience but the wealth of information and insight into what went on in secret there is second to none. It especially strikes me as fascinating and frustrating in equals measures the amount of staff – and in particular women – who must have worked there in secret and were probably only allowed to tell their family and friends that they were typists! We went for a nice lunch at the Slug & Lettuce on North John Street and Dad regaled me with stories of his first job in town in the 60s, the pubs he used to drink in with his mates, and the time he tried to join the Army but the recruitment officer said he was too spotty. From the Slug & Lettuce we went for a long stroll through town, with Dad pointing out old municipal buildings where he’d once sat exams for work, been for an interview, or been sent on errands. He pointed out offices my aunties used to work in, pubs my uncles used to drink in, and the junction where my Grandad’s horse, having been bought for cash “off a Gypsy” only a few hours earlier, dropped dead in the middle of the street and held all the traffic up. 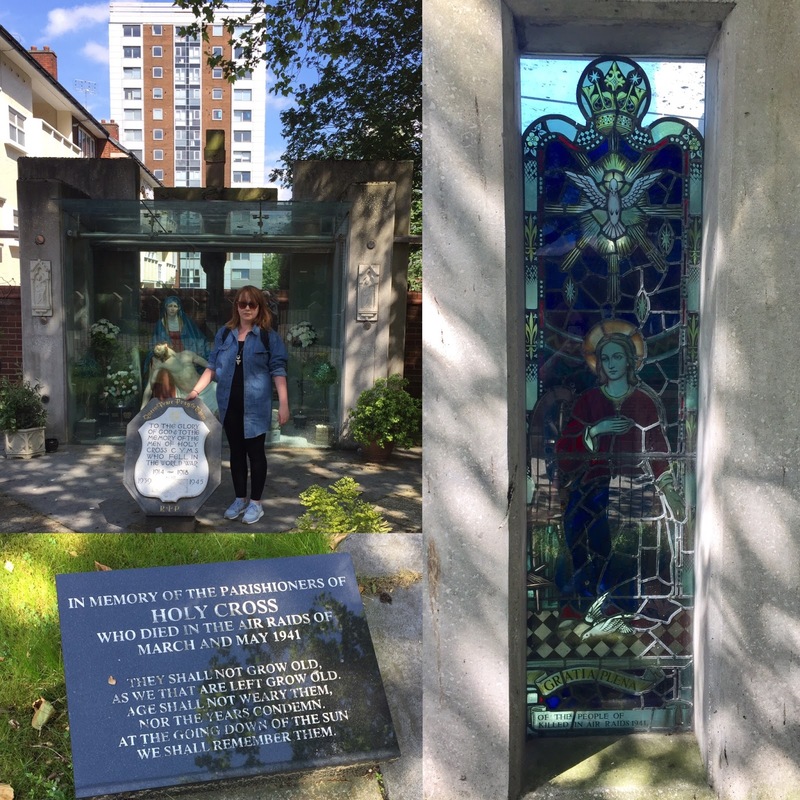 We walked down to Standish Street to see the Holy Cross blitz memorial, and talked about how the German bombing shaped my family. From the fire bombs dropped on my Nana’s house, to the devastation of the air raid shelter and school of her neighbours, and the direct hit which took the life of my Great-Grandmother and many others. This was the part of our adventure that was meant to be just like on telly. There’s was going to be those white gloves to handle aged documents, shocking family revelations, and an ’emotional journey’ that would hopefully reduce one or both of us to tears (or at least a cursory raise of the eyebrows from my Dad). That’s not quite what happened though. My Dad spent hours pawing over baptismal certificates scrawled in Latin, notices of births death and marriages, and trying to sift through records of about 20 different people within our family who all seemed to be called John or Mary. Meanwhile, I played around on the microfilm machines trying to find a picture of my Mum and a sea lion in the Liverpool Daily Post until kicking out time (don’t ask). It sounds like a waste of time but the records office is brilliant place to begin your family history journey (as well as online resources like you see advertised on telly). There’s staff on hand to help you get started, as well as a friendly firm of Golden Oldies who visit regularly to trawl the archives. Even if researching your own past doesn’t appeal to you, the library is an absolutely beautiful space. Grab a coffee (or a “cuppa tea an’ a bun” as my Dad says) in the ground floor coffee shop and have a flick through some of the local history books just a few feet away – from Victorian gangs, football teams, slavery, murder, architecture and social justice to wartime Liverpool, underground tunnels, piracy and music – you can discover so much without going more than a few yards into the library. But don’t miss out on the magnificent glass atrium overhead and exquisite Picton reading room which, if you’ve never had cause to visit an academic or private library before will whisk you back in time. It was designed by someone called Cornelius Sherlock which is reason enough to at least stick your head round the door for a quick nose. Better still, grab something off the shelf, sit down and learn something new (or old!) and enjoy the simple but immense pleasure of living in a part of the world where such wonderful resources are availability to all, for free, in such a lovely setting. The less said about the death knell being sounded for smaller local libraries across the country, the better. That is very much a story for another time.